You are SIX today! SIX! Why does that feel like such a major milestone? It is like you’re crossing over into this new phase of being a big kid. And as excited as I am for you, I can’t help but see you as the baby of our family. You have grown so much over the past year and really transformed yourself into a little lady. In a world where there is great value placed on being a strong, driven woman—where I have worked hard to play that part myself—I have found it challenging to parent a little girl. Because as much as I value that strength and drive, there is so much to be said for the compassion and grace of a true lady. I hope we help you find the perfect balance. I am proud that you are strong--that you stand your ground and do not back down. I am proud that you can do anything any boy can do. Notice that I didn’t say that you BELIEVE you can do anything any boy can do…because it isn’t about BELIEF with you. You just do it! I love watching you play t-ball on a team full of boys, battling NERF gun wars with your brother and his friends, and telling all of the boys in your life what to do, how to do it and when (and watching them follow your every word). You are responsible and driven all wrapped up into this itty bitty body. We all know that we can rely on you. Your teachers give you extra responsibilities and tasks, and they know you will not only complete them, but help others in the process. You love to have a job, and you take great pride in not just completing that job, but completing it better than anyone ever could have imagined. Like your weekly spelling tests: we spend time every afternoon going over your spelling, and you take great pride in coming home with your 105s on those tests. But nothing topped the grin on your face when you pulled out your test last week and showed us that you had received a 140 on the test because you covered the back of your paper with sentences using each of your spelling words. Your drive is inspiring and exhausting all at the same time. And I have realized over the past few months that it is time for me to show you not only how to work hard, but also that it is okay to take a deep breath, relax and just be. I love hearing the stories you tell me—like the ones about the new student in your class who you befriended. You told me she was so nervous to be joining the school after you and your friends had already been there. It was important to you to make her feel comfortable and safe. Watching you hold her hand as you walked down the hall in a school-wide parade, helping to reassure her and make her feel settled when it was your first time doing this, too, made me so proud to be your mother. I love that you tell me the details of your day; that I know that you’re listening, learning and engaging. The daily reports of your friends’ behavior in class are always entertaining—but remind me to talk with you about how annoying tattle tales are (especially to parents of 2nd grade boys). You love your friends with all of your heart. After your birthday party last week, your Grumps marveled at the way each of your girlfriends came to find and hug you at the end of the party to say goodbye. You all hug each other and love on each other all the time, and it is so incredibly sweet. But let me tell you the thing I love most about you: I love that you are so totally and completely at peace with yourself, that you can’t be bothered by what other people think. I love that on wacky sock day, you wore a kimono to school. And when I told you that your friends would be wearing wacky socks and not kimonos, you looked me in the eye, shrugged and said “so, I don’t care.” You marched into school so proudly that day, and it really made me think about what we, as parents, do to our kids to make them feel like they have to conform. The greatest gift you can give—not only to yourself, but to the world—is being true to yourself. I hope you forever march to the beat of your own drum. March on, baby girl! We’ll be standing on the sidelines, cheering you on. Happy 6th birthday, sweet girl! You are loved beyond measure! Annie is a wife, mama, friend, attorney and essential oil fairy G-dmother. You can find her tribe here! I used to struggle with insecurity. BUT THE DOG DAYS ARE OVER! ﻿If you want to feel comfortable in your own skin, it would be my honor to teach you how. 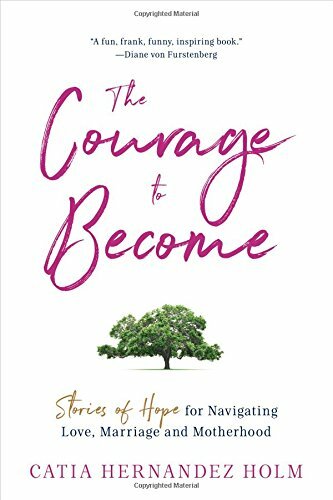 God is using The Courage to Become to make a difference in women's lives and I am honored to be a part of delivering the message. Now is your chance to grab a copy for yourself and for a woman you love!